The health care program that provides fixed payments for services, Medicare Advantage, results in greater savings, more efficient quality care and better patient outcomes for knee replacement and other common procedures than traditional fee-for-service Medicare programs, according to a new USC-led study. The study, published in the January issue of the journal Health Affairs, comes just as Congress discusses overhauls to health care, including the possibility of privatizing Medicare. The findings are part of a growing body of evidence that shows alternative payment models for Medicare can be better for patients while also reducing health care costs. Traditional Medicare programs for seniors 65 and older pay fees to providers every time a patient receives care in a new setting such as a hospital, home health care or skilled nursing facility. Under this fee-for-service model, providers have no incentive to tamp down costs or coordinate care across settings, Sood said. However, in Medicare Advantage, private participating insurers are given a premium from Medicare that effectively caps the money available to cover patient care costs. 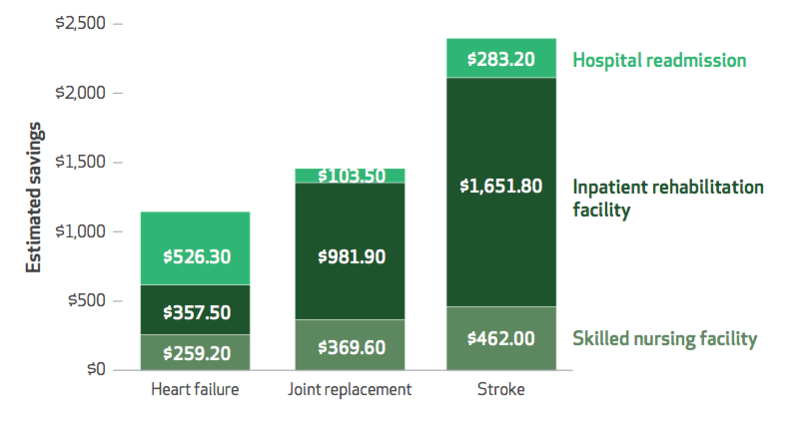 Hospitals and facilities that manage to keep costs even lower than those fixed amounts keep the savings. The researchers examined hospital-discharge data for beneficiaries who were hospitalized for stroke, joint replacements for the knee or hip and heart failure. They found several striking differences in outcomes for patients enrolled in traditional Medicare and those in Medicare Advantage. First, patients on Medicare Advantage were less likely than the traditional Medicare enrollees to be placed in nursing homes and in-patient rehabilitation facilities after hospitalization. 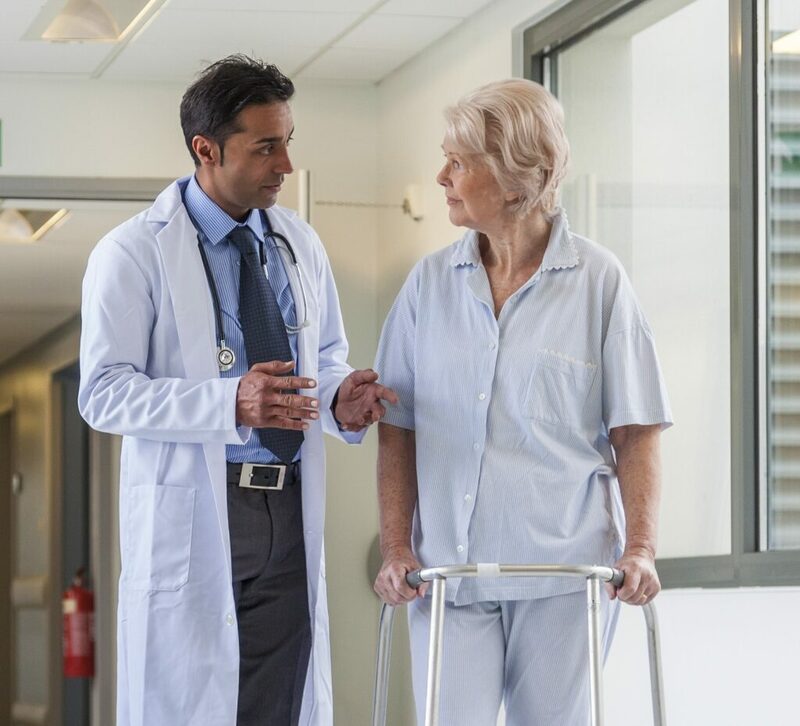 Second, Medicare Advantage beneficiaries who did end up in those rehabilitative facilities had shorter stays on average than traditional Medicare beneficiaries, the analysis showed. Lastly, the researchers noted, Medicare Advantage patients had lower rates of hospital readmission. The researchers estimate that Medicare could have realized a 16 percent savings had the traditional Medicare patients been given the same cost-effective care and experienced the same positive results as the Medicare Advantage patients. The researchers tracked hospital discharges for traditional Medicare and Medicare Advantage beneficiaries who had undergone surgery for knee or hip replacement, stroke or heart failure sometime between January 2011 to June 2013. They then compared the post-discharge results for both groups of beneficiaries. The researchers said they conducted this comparison because policymakers have proposed changing Medicare to a “premium support” system, shifting traditional Medicare programs toward a bundled payment model akin to Medicare Advantage. The idea is part of a trend within Medicare to increase hospital accountability and performance while reducing costs. The data included 968,936 cases (episodes) of joint replacement, 481,074 stroke and 762,228 heart failure. About 25 to 27 percent of all the episodes involved Medicare Advantage patients. The researchers accounted for comorbidities such as diabetes, obesity, depression, hypertension and chronic lung disease, as well as demographic differences in the patient population such as socioeconomic status. In addressing concerns about a selection bias, the researchers said there was no evidence that one group of beneficiaries was sicker than the other. There also was no evidence that Medicare Advantage patients’ health was compromised by lower usage of inpatient or skilled nursing facilities. Other study co-authors were José Escarce of UCLA, Brendan Rabideau of the USC Schaeffer Center and Pinar Karaca-Mandic of the University of Minnesota.